Meet a Few of Our New "Good Ole Boys." - Mississippi Believe It! The “good ole boy” network alive and well in Mississippi? Not hardly. Our new “network” has consisted of more black elected officials per capita than any other state in the country – a number that grew from a mere 81 in 1970 to 897, as of the 2000 census. Not to mention women who have held high-ranking positions in the state, such as Chief Justice of the Supreme Court and Lieutenant Governor. And an Indian chief – yes, an Indian chief – who also happens to be a woman. 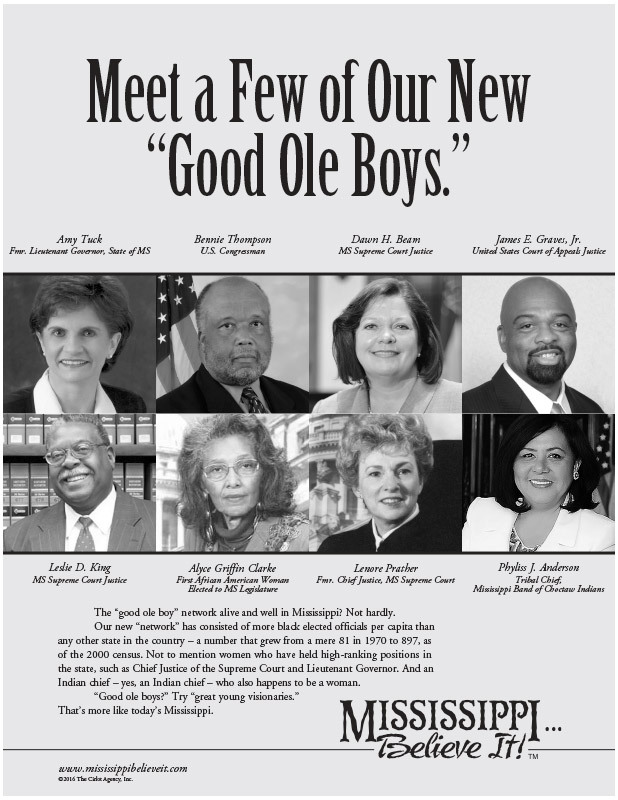 “Good ole boys?” Try “great young visionaries.” That’s more like today’s Mississippi.